Brand New, Stunning Bike, Finance Available. Here we have a brand new unregistered SMW RS300 R Enduro bike. Finance deals tailored to your budget. Nationwide Delivery is available. Comes with a 1yr warranty. The RS 300R enduro delivers unheard of value for your money. 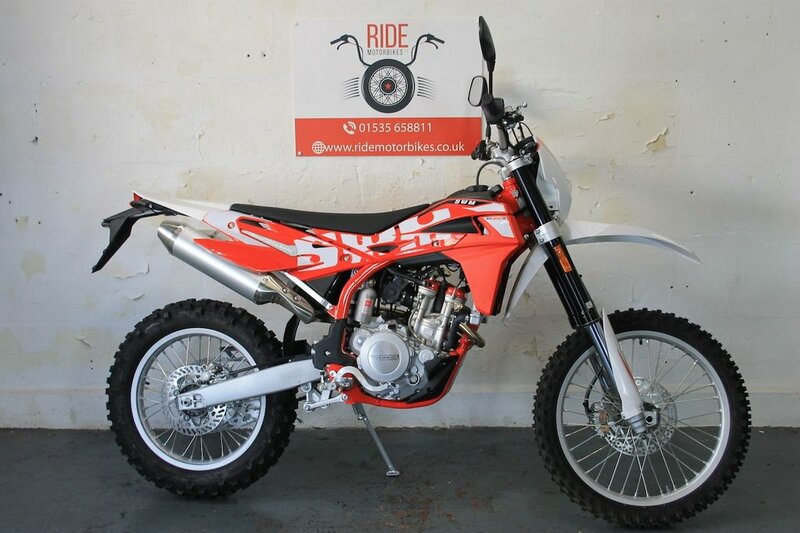 This machine comes with SWM excellence as standard, with incredible performance on or offroad. Manufactured in Milan Italy with the highest quality components. It's fuel injected DOHC motor gives great tractable power delivery and finely balanced handling where it counts. You can take this bike anywhere. They look stunning, real head turning machines. OTR fees apply. Ride is a friendly down to earth business with a passion for biking. Nationwide Delivery, HPI Clear, PX Welcome, Friendly Customer Service. 01535 658811 ***Check out our customer reviews on the website, at Ride Motorbikes Ltd Facebook page/Autotrader shop and google*** For more information about us, the bike and our stock please visit our website. The adventure starts here! Open 7 Days A Week Ask us about Locks and Chains, Datatags, Helmets and Heated Grips. Stay warm and secure with Ride.